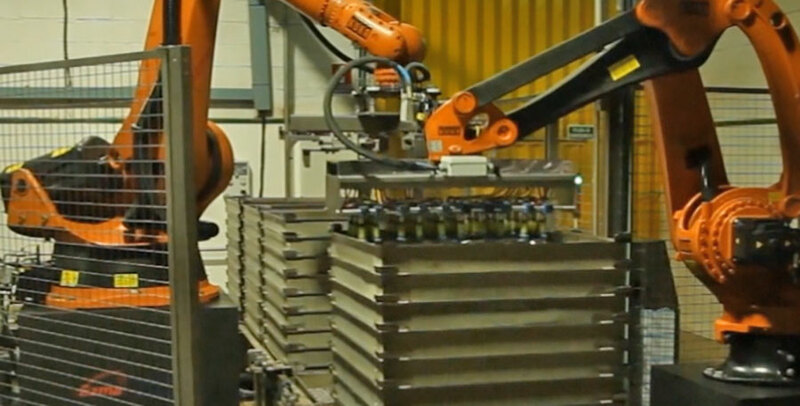 ROBOTIZED SOLUTIONS-EZMA | Food processing technology, EZMA S.A.
– Different processes: Loaded-Unloaded, Palletized-Depalletized, embedded processes. – Different type of packaging: Rigid, semi-rigid (e.g. trays) and bags (e.g. pouch, doypacks, aluminum).